President Barack Obama on Sunday said he&apos;s changing the name of the tallest mountain in North America from Mount McKinley to Denali. 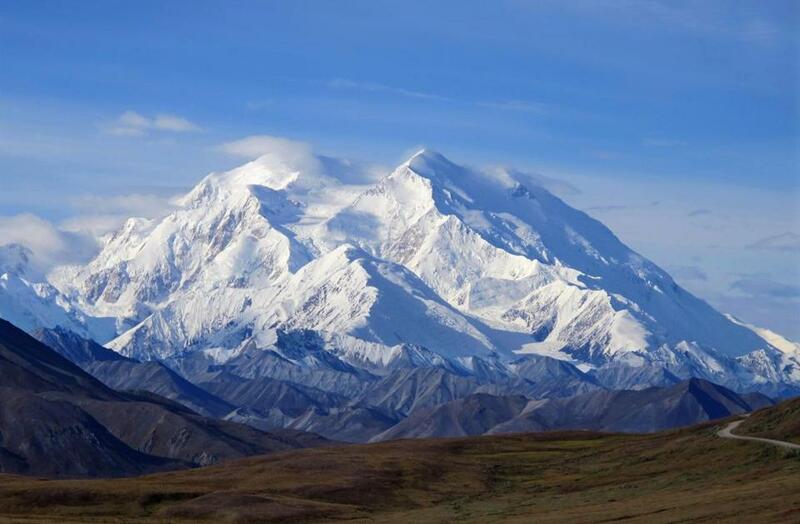 NEW YORK — President Obama announced on Sunday that Mount McKinley was being renamed Denali, using his executive power to restore an Alaska native name with deep cultural significance to the tallest mountain in North America. The move came on the eve of Obama’s trip to Alaska, where he will spend three days promoting aggressive action to combat climate change, and it is part of a series of steps he will make meant to address the concerns of native tribes in Alaska. With these efforts, the president is seeking to fulfill his 2008 campaign promise to improve relations between the federal government and the nation’s American Indian tribes, who have a long history of grievances against the government. Denali’s name has long been seen as one such slight, regarded as an example of cultural imperialism in which a Native American name with historical roots was replaced by an American one having little to do with the place. The peak plays a central role in the creation story of the Koyukon Athabascans, a group that has lived in Alaska for thousands of years. Obama, freed from the political constraints of an impending election in the latter half of his second term, was also moving to end a years-long fight that has pit Alaska against electorally powerful Ohio, the birthplace of President William McKinley, for whom the mountain was christened in 1896. The government formally recognized the name in 1917, and efforts to reverse the move began in Alaska in 1975. In an awkward compromise reached in 1980, the national park surrounding it was named Denali National Park and Preserve, but the mountain continued to be called Mount McKinley. Senator Lisa Murkowski, Republican of Alaska, introduced legislation in January to rename the peak, but Ohio lawmakers sought to block the move. In a video released Sunday, Murkowski cheered Obama’s decision. It was unclear whether Ohio would mount an effort to block the name change. There was no immediate response to inquiries seeking comment from Republican Representative Bob Gibbs, House Speaker John Boehner, and other Ohio lawmakers. At 20,320 feet, the mountain is still growing at a rate of about one millimeter per year, according to the National Park Service. Known for its majestic views, the mountain is dotted with glaciers and covered at the top with snow year-round, with powerful winds that make it difficult for the adventurous few who seek to climb it. The mountain came to be known as Mount McKinley after a gold prospector who had just emerged from exploring the Alaska Range heard McKinley had won the Republican presidential nomination and declared that the tallest peak should be named in his honor as a show of support. McKinley was assassinated in 1901, six months into his second term, and never visited Alaska. Obama’s trip there starting Monday will be his first major visit to the state, and he will become the first American president to visit the Alaskan Arctic. Obama won’t personally visit the mountain during his tour of Alaska. He’ll spend much of the trip in Anchorage, south of the peak, where he will speak at a climate change summit on Monday. Obama also planned to meet with fishermen in Dillingham, hike a glacier in Seward, and cross the Arctic Circle to visit the rural town of Kotzebue. The White House also revealed Sunday that Obama was expanding government support for programs to allow Alaska natives to be more involved in developing their own natural resources, including an initiative to include them in the management of Chinook salmon fisheries, a youth exchange council focusing on promoting “an Arctic way of life,” and a program allowing them to serve as advisers to the US Fish and Wildlife Service. Obama has stepped up his engagement with Native Americans since June last year, when he visited Cannon Ball, N.D., in the ancestral lands of Chief Sitting Bull and took part in a powwow to honor natives who have served in America’s foreign wars. That was the first visit by a sitting president in 15 years to land under tribal jurisdiction.